Every Thursday starting June 22, 2017 is the ANNUAL TWILIGHT CONCERT SERIES | SANTA MONICA PIER. About: LA’S Favorite summer tradition and premier outdoor concert series at the Santa Monica Pier. Come catch the best of contemporary and classic music with the most amazing views in Souther California. The free concert series, held at Santa Monica Pier, opens 7 p.m. Thursday, June 22 and will run Thursdays through Aug. 17, with the exception of July 6. 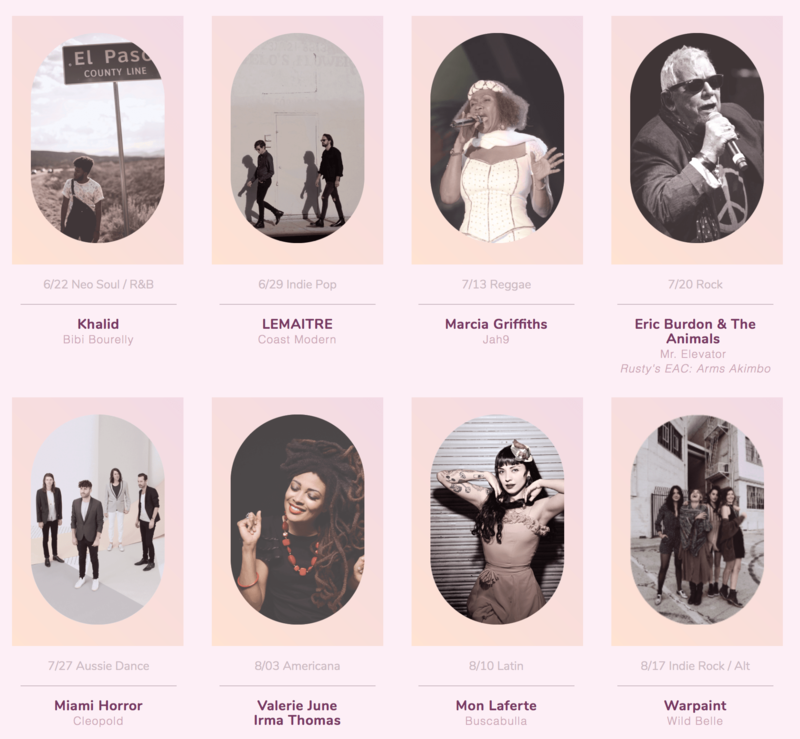 The lineup includes LEMAITRE, Marcia Griffiths, Eric Burdon and The Animals, Miami Horror, Valerie June and Irma Thomas, Mon Laferte, and Warpaint. Click here for 2017 line up!